Having finished the first round of McCoy Bat Bandanas, I gathered some reviews and comments from my buyers, which you can read in the Customer Review entry. Most were short comments and thanks, but by Nathan King stood out, being a more full review of the whole experience of buying the Hanky. Here it is reproduced in full. 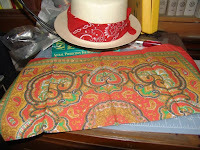 I recently ordered Steve Ricks’ Seven Hat Hanky, after reading his INTEREST THREAD on the forums. Steve Ricks has a fantastic attention for detail. 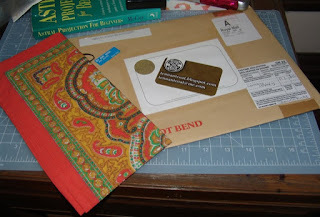 On Thursday I received a stiff envelope – the kind you send photos in – the kind that has a resistance for bending in transit in the post. A high class envelope came in the mail with my address on it and a business card very snazzy =D. Inside carefully folded in tissue paper was the Seven hat hanky – I tore through this tissue paper like a kid tears through his present wrappings on Christmas. The material is light but strong. 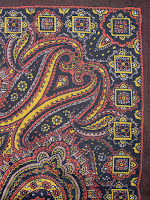 The pattern is expertly pieced together. 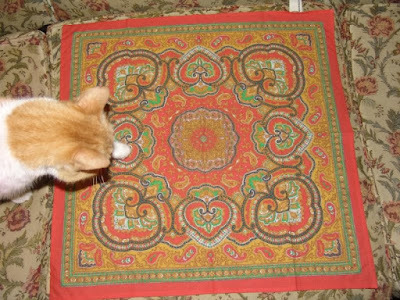 It is a single side print handkerchief, but it works great for the costume. I compared the Bandanna to images of Sylvester McCoy on the BBC classic Doctor Who website and after experimenting with folding the Bandanna, discovered it matched with the original prop / hanky. Attached to the hanky is a manufacturers label with the seal of Rassilon and washing instructions. I am quite pleased with my purchase. I am convinced that all well to do Time Lords make arrangements with Steve Ricks for their adventure apparel. 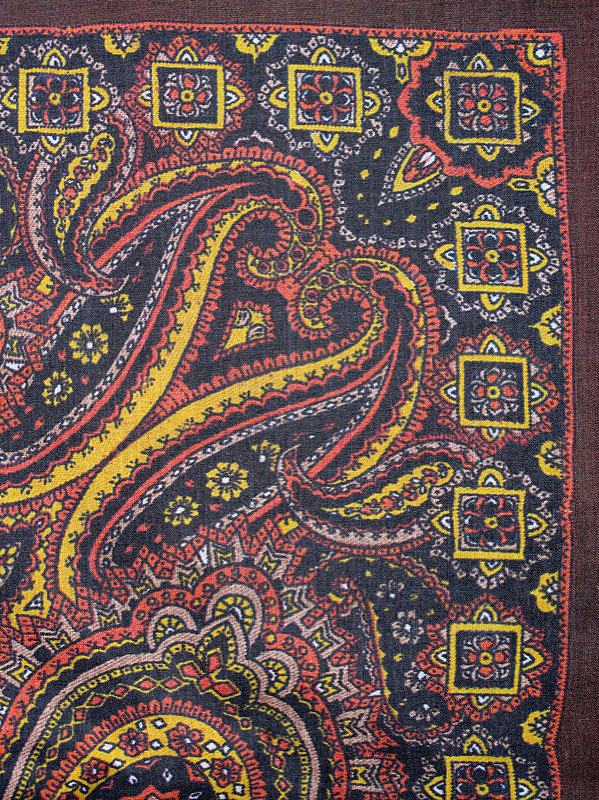 Above: printed on fine cloth with stitched edges. Check this out – it really makes the costume!! Compare with the link of my previous costume at the top! Above: Measuring my hat so I can get a 5th Doctor hatband - steve has plans to make a 5th Doctor hat band I'm really looking forward to it. 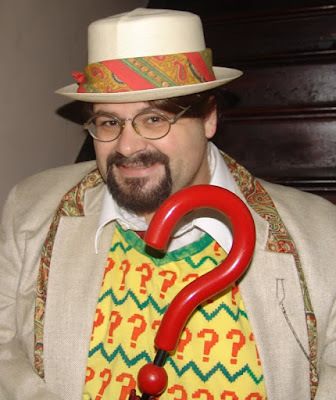 This really is well made and a necessary addition to your Seventh Doctor Costume!!! With thanks to Nathan for the fantastic review, and permission to reproduce it here with the pictures he took. Hello, I'm looking for a Fifth Doctor hat and I saw that your Seventh Doctor one looks a lot like Five's (the ridge along the top, the width of the brim, etc.) and I was wondering what sort of hat it was. Also, does it roll up at all? I've not had much luck finding a panama hat (what I believe Five's is) that resembles his very well, so any help would be appreciated! 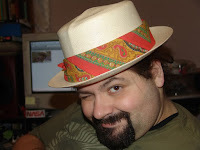 The hat is a 'Colonial Panama Hat' with the rim turned up. I turned up mine by lightly damping the rim with a little water then blowing a hot hair dryer against it. Don't get any water whatsoever on the rest of the hat, even for a second, because it will go unrepairably out shape as mine did. My hat is by 'TUMI' and cost £39.99 from Amazon. You can pay several hundred pounds for a Panama hat but this one is great for the price. Remember that all genuine Panama hats are hand woven in Ecuador as are all the TUMI ones. You will not get a Colonial Panama hat with the brim already turned up. Just to clear up any ambiguity my previous comment was referring to the 7th Doctors hat, not the 5th Doctors.